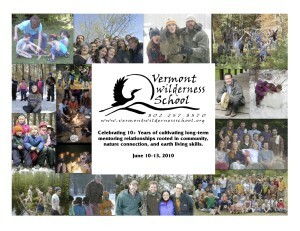 Vermont Wilderness School is a community non-profit organization that offers powerful nature-based mentoring programs for children and adults. 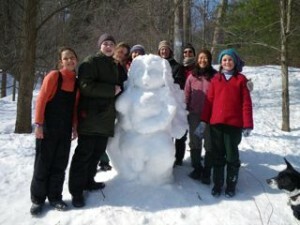 Our programs are based in the Connecticut River Valley bioregion of southern Vermont and western Massachusetts. Through our annual Art of Mentoring workshop and other regional programs, we also help to grow nature-based education and community development throughout the Northeast. Our work has touched the lives of thousands of children and adults since 2000. We envision a future of vibrant communities inhabiting their bioregions sustainably for the long term. Our mentoring approach builds deep relationships with the natural world, preparing our students to be passionate caretakers of the planet. Please join us! Our work is rooted in a deep topsoil of teachings and practices, initially gathered by Jon Young and Wilderness Awareness School and further refined by hundreds of organizations around the world. This bundle is based in traditional mentoring practices used by indigenous cultures from around the world. The wisdom of these practices is affirmed by current research in brain development, inquiry-based learning and human development – as well as by the experiences of our global network over the past 30 years. Healthy and appropriate edge experiences tailored to the unique learning journey of each student. As instructors, we work to embody these principles and create a culture of continual learning and growth for everyone. 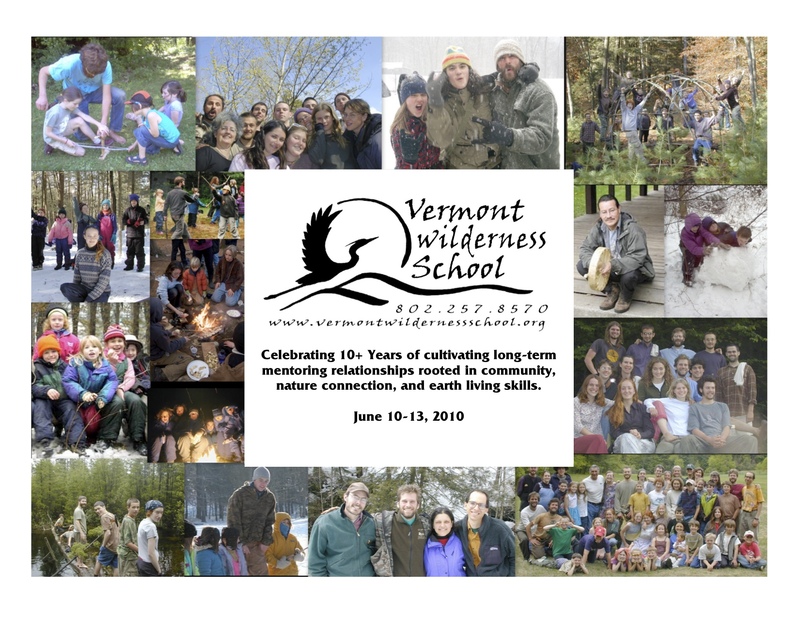 Vermont Wilderness School youth programs provide immersive experiences in the natural world and build confidence, self-sufficiency, and aliveness in each child. Our adult programs train students experientially in nature awareness, wilderness skills, mentoring, and cultural design/facilitation. In addition to our own programs, VWS supports community members and qualified instructors to run programs that are in alignment with our vision and values. We provide instructor coaching and training, program oversight, 501(c)3 donor/grant capacity, database and network capacity and outreach, administrative services, and insurance and employee payroll services in Vermont and Massachusetts. VWS also offers two scholarship funds: the Great Blue Heron Fund (providing financial aid for VWS programs) and the Ingwe’s Path Fund (providing financial aid for community members to attend aligned programs outside of VWS). Some of our current organizational needs are listed here. Please contact us if you’re interested in contributing in one or more of these ways. We’re looking for passionate, creative, capable instructors interested in partnering with us to develop new programs and initiatives. VWS is a community-supported organization. Our scholarship funds and program development efforts depend on donations to continue. Please consider making a generous contribution to VWS today. VWS is overseen by a small, dedicated Board of Directors who have a long-term commitment to nature-based education and community development in our region. Contact us if you’re interested in being considered to serve on our Board. As a nature-based mentoring organization without a central campus, VWS depends on consistent access to high-quality outdoor program locations. We partner with a variety of public and private landowners to provide the best possible settings for our programs year after year. If you own, manage, or oversee a property that could benefit from the energy, attention, and caring use that our programs bring, we would be grateful to speak with you! 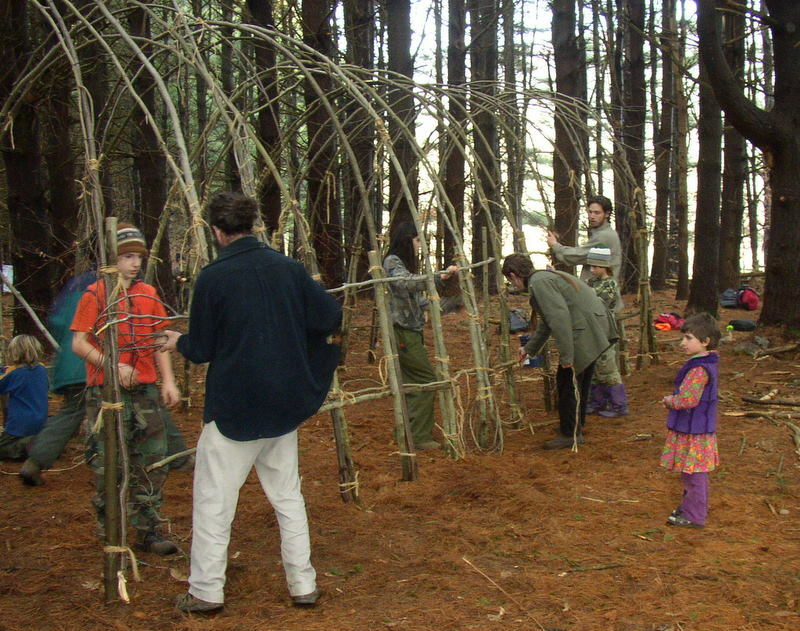 VWS partners regularly with aligned organizations in our community, such as the Nature Museum at Grafton; the Institute for Natural Learning; Strolling of the Heifers; the Brattleboro Kids’ Craft Fair; Hilltop Montessori School; the Manitou Project; and more. We are always interested in building new partnerships in the Brattleboro area and beyond.